Beth is one of MOLA’s Senior Finds Specialists, specialising in Roman pottery and post-Roman finds. 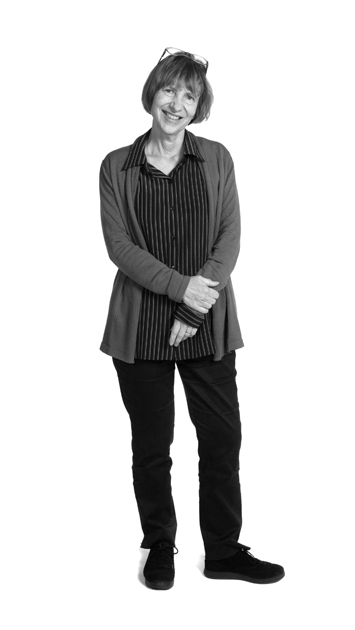 Beth joined the Department of Urban Archaeology (DUA) as a Roman pottery specialist in 1978 and was one of the specialists responsible for establishing the London Roman Pottery Fabric Reference Collection. She has published a fabric-based typology of London’s Roman pottery, and an important assemblage of early 3rd century imports from the Roman waterfront as well as many site assemblage publications. Since 2002 Beth has increasingly specialised in post-Roman finds, particularly leather, and has recently been working on the publication of large assemblages of late medieval shoes from a site in Southwark and medieval metal and organic finds from the City waterfront. Over the last few years she has also published several reports and articles on finds from London’s 18th and 19th century cemetery sites, researching the folk traditions which lie behind some of the grave goods. She is a speaker at conferences and to specialist groups.